This recipe was submitted by Jessie Berrington, BSc, Certified Holistic Nutritional Consultant™. 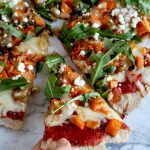 Inside Scoop: Load up this spelt flatbread any way you like, makes a great pizza base, bruschetta, vegan pizza, or just have with some hummus or baba ganoush. 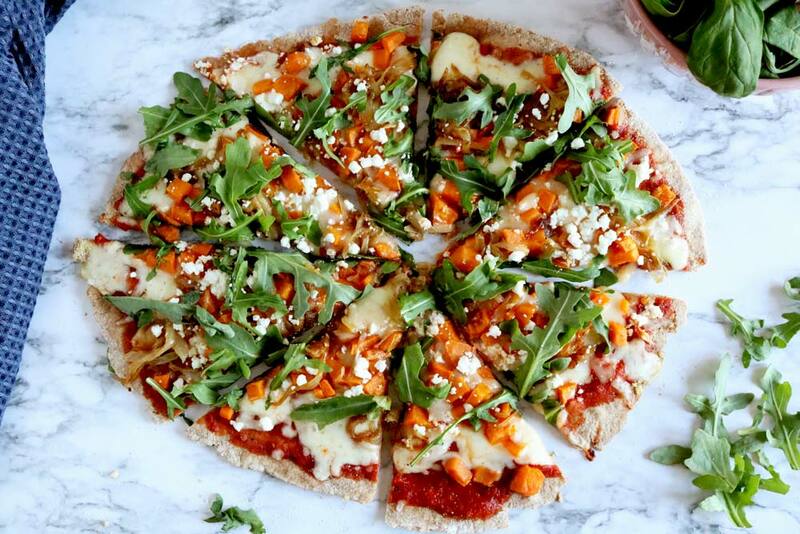 What in the… why hasn’t anyone told us that making pizza crust out of ancient grains is not only incredibly simple (like, can do it in our sleep simple), but tastes amazing?! We’ve tested plenty of spelt flatbread recipes (our favourite flour, by the way), and yes, very simple recipe, very basic: water, oil, salt, flour, but they have always turned out a bit too crunchy and not that puffy. 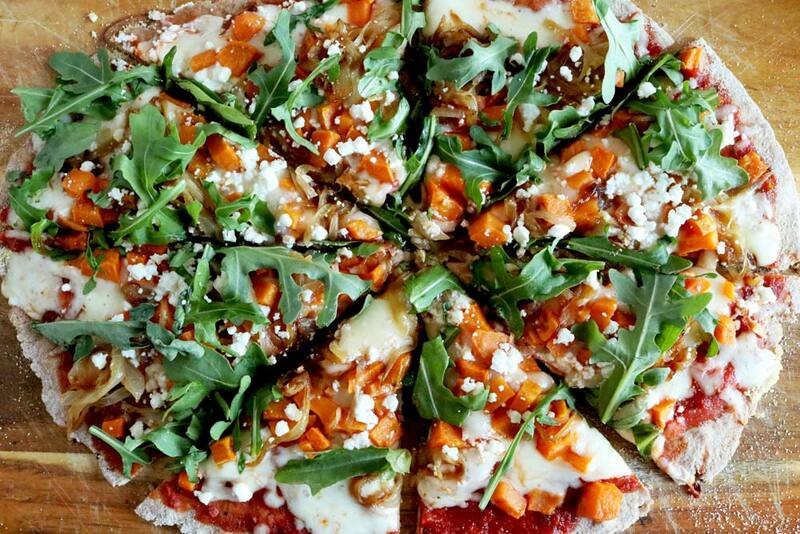 All of this is fine and dandy considering the health benefits spelt has, especially when compared to white flour and traditional pizza dough, but then we came across this recipe by a colleague, and now all cards are on the table. There is a pizza loving fiancé up in here (like, meat lovers deluxe + creamy garlic sauce from Pizza Pizza, pizza lover), so the fact that this is one recipe he keeps asking for over and over makes it a definite win! So it really works for the vegan of the household, the vegetarian, the meat lover, the basic cheese lover, and even the most foodie of the foodies; bianca & black garlic with a poached egg on the top style. Whatever is clever with this one! If you are curious about spelt flour, and the benefits it possesses over white flour, well, it’s an ancient grain that’s closely related to wheat. But, instead of overly processed, stripped of fibre, and stripped of nutrients, spelt flour is ground in it’s whole state, is low in gluten, and contains plenty of beneficial nutrients, such as B vitamins, minerals and is a much easier grain to digest then most of it’s wheat counterparts. 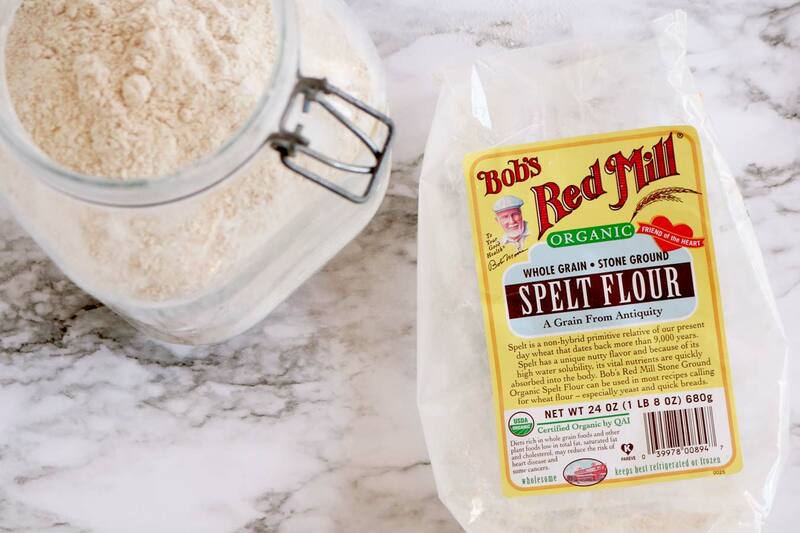 We like to work with Bob’s Red Mill Spelt Flour, which you can buy here. 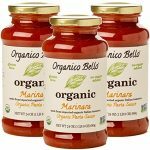 Also, to save time we have found you our hands down favourite brand for pizza sauce is Organic Bellow Pizza Sauce, but if you have an extra 2 minutes to spare make sure you check out our recipe for pizza sauce below. First and foremost, mozzarella makes for an amazing pizza, but if you are vegan or dairy-free and haven’t found a vegan cheese that works for you, this Cashew Cream Pasta Sauce has a rich and creamy taste, without the dairy. If you are all about the cheese, we definitely recommend organic and/or goat cheese. Goat cheese is much easier on your digestive system than cow dairy. 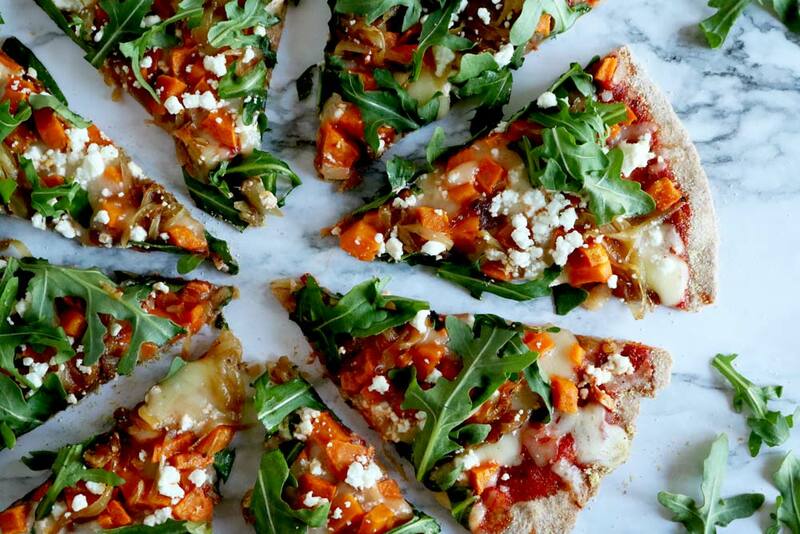 This veggie loaded spelt flatbread recipe will change the way you do pizza night. 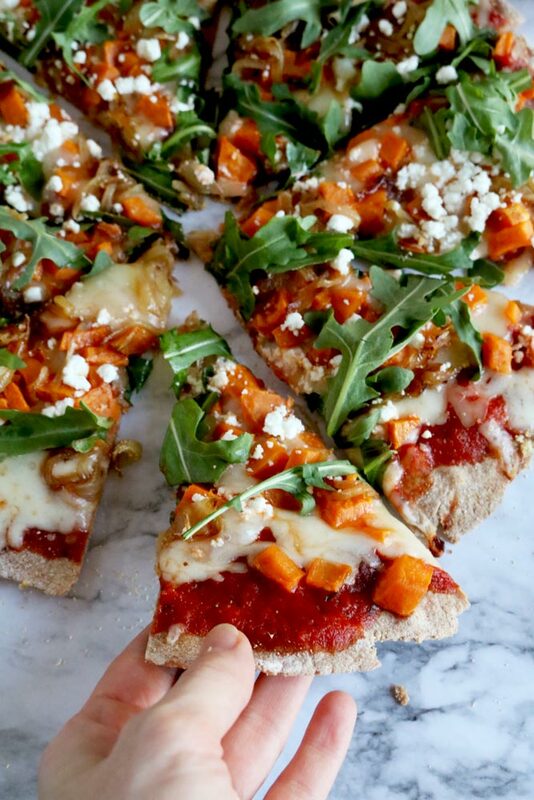 The benefits are pretty awesome, you can add veggies into your diet in an incredibly delicious way, totally replace that white flour base, and it’s such a simple recipe, you’ll want to make it over and over. Have you tried this recipe? Drop a comment below, would love to hear how you topped it. Go personal, or share with everyone. 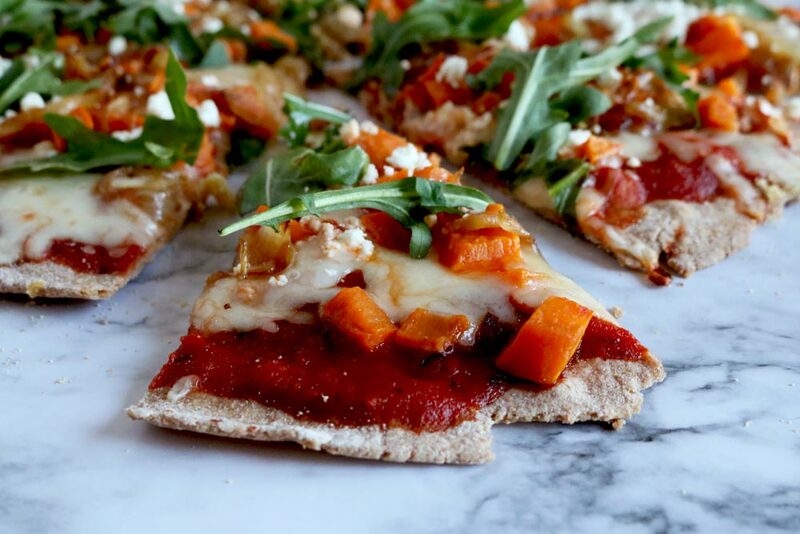 This incredibly simple and healthy spelt flatbread recipe will change the way you look at pizza night. Mix spelt, baking powder, salt together thoroughly. Add in apple cider vinegar, water, 1 Tbsp oil and mix together to form dough. Knead a couple times if necessary. Roll dough out to approximately 1/4 cm in thickness (not too thick, but not too thin or else it will crisp). Cook on parchment paper at 400 F for 10 minutes. Remove crust, add sauce, cheese and toppings of choice, bake for another 10 minutes. *Note: For garlic crust, mix the minced garlic into ½ Tbsp oil, butter or ghee, and lightly brush on the crust before baking. It should come out golden, garlicky and delicious. Add everything to a sauce pan and cook over medium, apx. 15 minutes. Season accordingly. Jessie has her Bachelor of Science and is a Certified Holistic Nutritionist™, recipe developer and wellness writer. She offers 1-on-1 holistic nutrition consults (in person, phone and skype) and has a passion for creating whole food plant based recipes.